Ngeringa is a certified biodynamic vineyard and winery specialising in classic, fine wines that are full of vitality and born of tradition. Located in the beautiful Adelaide Hills, South Australia, Ngeringa is one of Australia’s original biodynamic winegrowing pioneers. 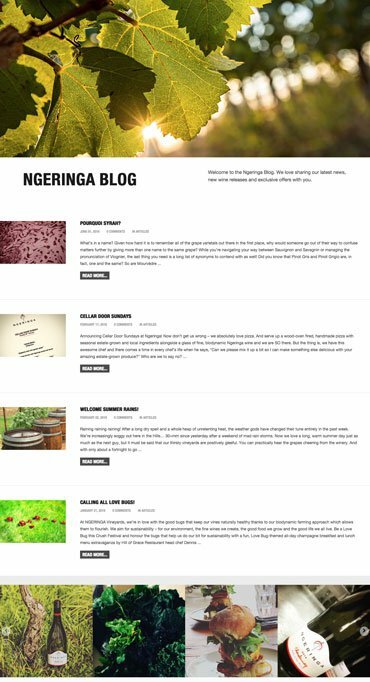 Ngeringa approached Fig Tree Digital to modernise their brand, improve their online digital presence and user experience and provide strategic marketing direction. Ngeringa needed a new focus on brand storytelling with strong visual representation to bring the business and its story to life. A marketing strategy was developed to deliver direction for the business’s growth including wine audience research, customer loyalty, customer communication, social media plan, database segmentation and more. 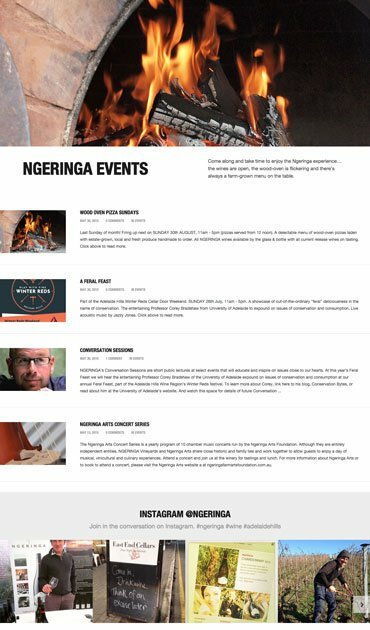 The strategy provided Ngeringa with ways to attract new audiences, then convert these to long-term loyal customers, schedule ongoing communication and new ideas and concepts for traditional and digital communication. The Ngeringa website design and development, including SEO, has generated increased views, hits and organic growth. The website achieved a 50% increase in website page views and 65% increase in website session duration (compared to the previous 12 week period). Ngeringa has received positive customer feedback in relation to the website and user experience online. Their new email communication process has improved customer interaction and engagement for existing customers, subscriber growth and increased membership of their exclusive member wine club, Solstice.